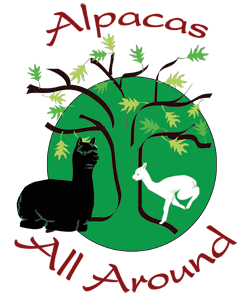 Here is a list of alpacas for sale from our California alpaca farm. If you're looking for alpacas in California anywhere near Sacramento, we recommend that you schedule a visit to our farm to learn more about raising alpacas. We'd be happy to discuss our alpacas with you in terms of their ancestry, physical conformation and fleece evaluations or any other questions you might have. Schedule a visit for your alpaca shopping trip! Click on any of the alpacas listed below to learn more. Alpaca pricing is determined by the quality of the alpaca on the basis of its award-winning and renowned lineage, its own performance in the shows, the quality of its fleece and the alpaca's temperament or disposition and its physical conformation to specific ideal standards (such as the proportion of the length of its neck to the length of its legs and body or whether it's teeth hit the upper dental palate in the correct way). Each of these categories of alpaca assessment can be examined at great length, but a quick overview of fleece quality assessment, for example, would include looking at the fineness of the fleece, its length, and density and whether its characteristics are the same throughout the blanket area (across the back and sides). These can be measured by sending fleece samples to an independent measuring lab and by weighing the fleeces each year at shearing time. Fineness is measured by diameter of a cross-section of the fiber in microns. Fiber will generally feel fine if the AFD (average fiber diameter) is less than 24, and if most of the fibers are very close to each other in diameter. A small portion of fibers with a much larger diameter will make the fleece feel "scratchy." And this can be assessed through the other numbers in the fleece statistics, the CV or co-efficient of variation, the SD or standard deviation, and the % of fleece with microns larger than 30 diameter (scratchy hairs). A really gorgeous fleece assessment would look something like this: AFD 20.1 (20 and under is excellent), SD 3.1 (anything under 5 is very good), CV: 18.6 (under 20 is very good), %<30: 0.5 (the closer to zero, the better). Take a look at the "Histogram" charts that we have posted with our alpacas. Renowned lineage is something that you will likely become more familiar with as you peruse the Web for alpaca information. In the 1980's, when alpacas were imported from Peru in larger numbers before the borders were closed to alpaca imports, a handful of truly ideal male alpacas became the foundation genes for a number of top-quality alpacas, alpacas like Peruvian Bueno, Peruvian Hemingway, Don Julio and others. Then over the years, 2nd and 3rd generation alpacas have established their names in the industry based on their quality and the ability to pass it on to their offspring. In the absence of evaluating alpacas ourselves, we can rely on the expert opinions of judges in the show ring, so awards and championships can help us to assess an alpacas quality! We'd be happy to discuss our alpacas with you in terms of their ancestry, physical conformation and fleece evaluations. Schedule a visit for your alpaca shopping trip!